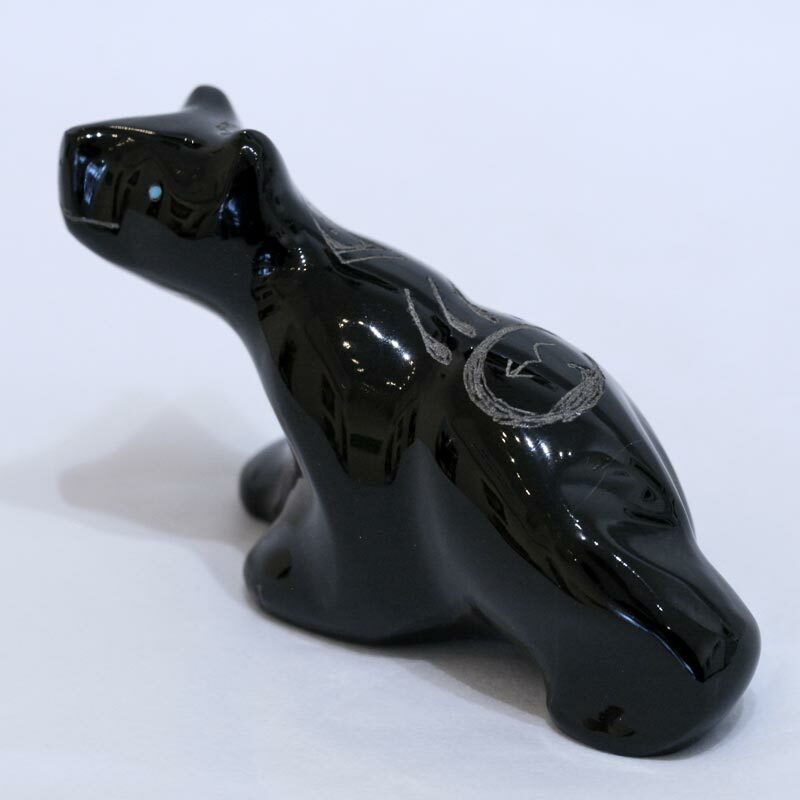 This young walking bear (Anshe) fetish with bright turquoise eyes, is carved from black marble by Garrick Acque. 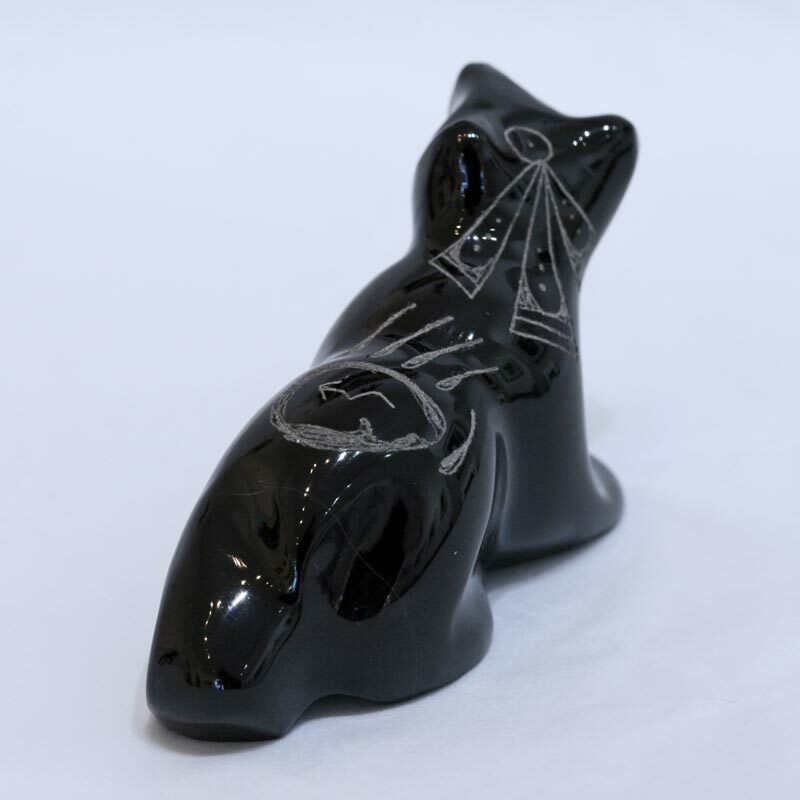 The bear is engraved with eagle feataher and bear track markings on his back. 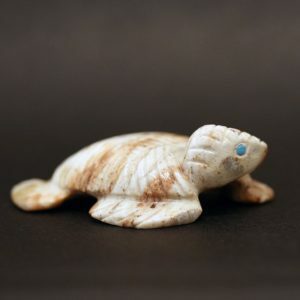 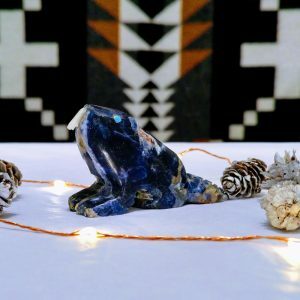 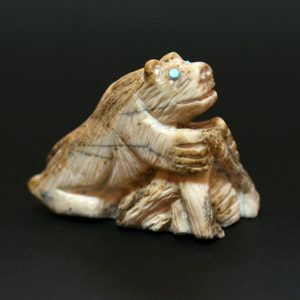 This Zuni walking bear measures 6.5cm in length.